Tidal is music streaming service that provides lossless audio and HD music videos with curated editorial. Tidal service has over 40 million tracks and 90,000 music videos. Tidal offers two digital music streaming services Tidal Premium and Tidal HiFi. Tidal was launched in 2014 by Norwegian/Swedish public company Aspiro. It has distribution agreements on major labels, in addition to many indies. In 2015, the parent company Aspiro was acquired by Project Panther Ltd., which is owned by Shawn “Jay Z” Carter. It is the first artist-owned streaming service in the world. 1. They has two pricing tiers: either $9.99 or $19.99 a month. Both pricing levels come with the same access to exclusive content and experiences. There is no compression of the files, and the music is CD-level quality. 2. Site gives its members access to exclusive music, videos, tickets, merchandise and experiences that you can’t find anywhere else. 3. Through Soundiiz.com you can import your playlists from any other streaming service directly into your account. 4. It has a world class editorial team regularly delivering articles and interviews across all genres that deliver intimate and revealing looks into your favorite artists, as well as artists you may end up reading about for the very first time. 5. With a simple swipe you can take your music offline, which allows you to continue to listen to your favorite music on TIDAL even when you’re not connected to the Internet or a mobile network. 6. The playlists on TIDAL are tailor-made for listeners, expertly curated by team, and not by a computer algorithm. They also give you access to many exclusive playlists created by artists, athletes, journalists and the like. They give you a look into their world and experience the music that they listen to and love. 7. TIDAL X: A program that will give fans an opportunity to connect with their favorite artists in an unlimited number of ways, witnessing unique experiences that no one outside will see. It could be an intimate performance, a meet-and-greet, a dinner, etc. 8. TIDAL RISING: A program dedicated to artists from around the globe who have passionate fan bases and are ready to broaden that base to a wider audience. 9. Discovery: Some of the best music in the world is the music we never hear, because sometimes the most talented artists don’t get the break they deserve. This was built to give them that break. 10. As they move forward they deliver fans access to music and experiences unlike any other service can deliver. This update is loaded with new video features and an all new “Now Playing” experience. Which Countries Is TIDAL Available? How Good Is The Sound Quality On TIDAL? 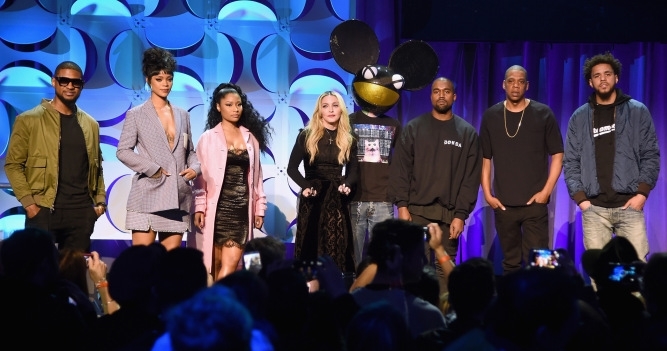 TIDAL is not about creating a new service, it’s about creating a better one. A service which makes the experience better for both the fans and the artists. Alicia Keys, Best Music, Beyonce, Chris Martin, digital music streaming, HD music videos, Kanye West, Kanye West's new album, music streaming, Soundiiz.com, The Life of Pablo, Tidal, Tidal HiFi, Tidal Premium, TIDAL RISING, TIDALforAll, Why Have A Tidal ?